Here are all the most interesting Millennial statistics and facts I have been able to dig up so far. As always, I will be updating and adding to this list often as I come across newer stats. Be sure to check back often to see the latest. Few marketing demographics have been more focused on, studied and measured than millennials. This elusive generation with their different values and views, can make it difficult for other generations to target and market to, at times. That said, when you are able to find millennials in their natural habitat and create messaging that resonates with them, you’ve hit the marketing jackpot. 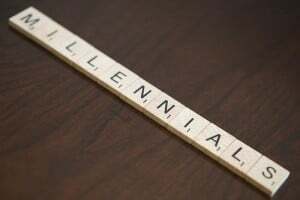 In an effort to help a marketer or two out, I’ve come up with a few of the best millennial generation statistics I’ve come across lately. Please note that some of these numbers are easier to find than others. A few of these millennial statistics come from company reports, but some are based on news reports and not official company tallies. Basically, this is the best I can find and I don’t guarantee anything to be 100% accurate. 92% of American millennials own a smartphone. 54% of American millennials own a tablet.